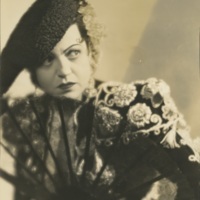 Photograph of Rosa Ponselle as Carmen close up with fan and matador hat with ornate shoulders, costume designed by Valentina. 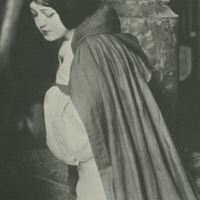 Photograph of Rosa Ponselle as Leonora in La Forza del Destino Postcard from the Pillar Scene. 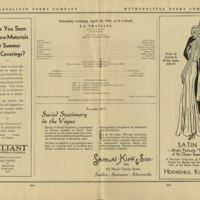 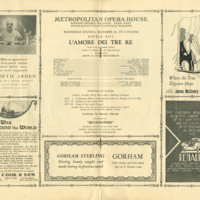 From November 1918 Metropolitan Opera debut performance. 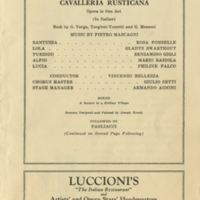 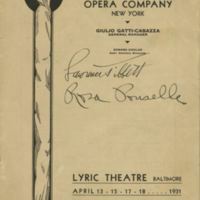 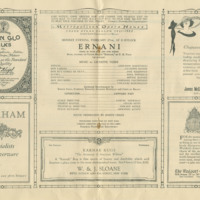 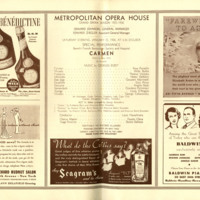 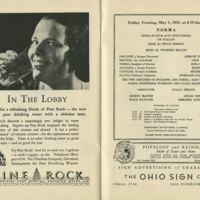 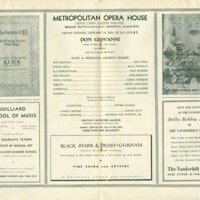 Program for Rosa Ponselle as Donna Anna in Don Giovanni at the Metropolitan Opera, 1935.